Trade shows can be great for bringing in new customers to your business. Of course, if you don't know what you're doing, they can be a total waste of time. Use a heat press machine to attract attention -- When you have custom heat transfers and a heat press machine at the ready, you can easily print fun promotional items such as canvas tote bags, mouse pads, and t-shirts (more on this later). However, by printing these items on demand using a heat press machine, you can easily attract attention to your booth as well. A live demonstration of heat press machine printing will be sure to attract curious onlookers. Once you've reeled them in, your employees can network, gather contact information, and promote your business. The branded swag produced by the heat press machine will also ensure that your company stays on their mind long after they walk away. Focus on your booth’s design -- You could have the coolest products or offer the most rewarding services at the event, but if your trade show display is lacking in originality and quality design, no one is going to want to check it out. You need to make sure every inch of your display setup is visually appealing and welcoming so you can maximize your interactions. Work with professional booth designers if you have to, and make sure to not overdo it, either. Having too much going on can work against you just as much as having a boring setup can. Staff your booth with friendly and knowledgeable workers -- You can’t just have anyone behind the booth interacting with people, you need to have workers who are well versed in customer service. If your booth workers aren’t welcoming or conversational, potential customers won’t enjoy interacting with them and will likely leave your booth before making any purchases or signing up. Additionally, you have to make sure your workers can answer any tough questions about your business and not just have a friendly conversation. Stand behind the booth yourself if you have to! 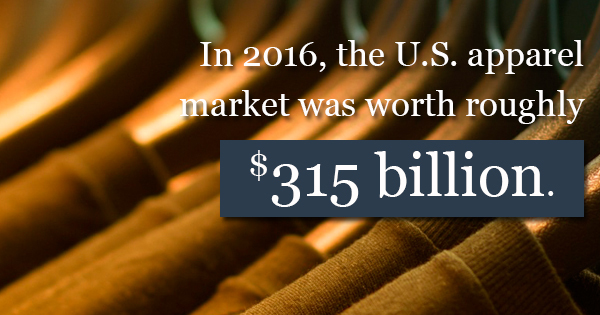 Use a heat press to produce custom shirts and hats -- In 2016, the U.S. apparel market was worth roughly $315 billion. Though people will always shell out plenty of cash for certain clothing items, they also love getting these products for free. By using a heat press machine to design promotional T-shirts, hats, and tote bags, and other accessories, you’ll be able to create high quality products that you can toss out like candy at your next trade show. People love free stuff and will certainly gravitate to the booth that’s tossing out cool hats and T-shirts. Just as importantly, these promotional items will carry your branding wherever your booth's visitors go, both during the event itself and beyond. If you want to learn more about heat transfer technology or find quality heat press machines, give Insta Graphic Systems a call today.